Place 1/2 cup stuffing in a resealable plastic bag. Seal the bag and crush the stuffing with a rolling pin or your hands. Lightly mix the remaining stuffing, eggs, mayonnaise, mustard, Worcestershire, parsley and crabmeat in a large bowl. 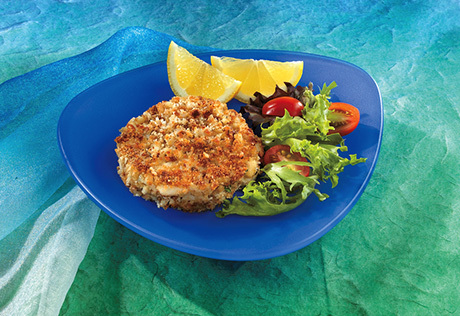 Shape the crab mixture into 6 (1/2-inch thick) patties. Coat the patties with the crushed stuffing. Heat the butter in a 12-inch skillet over medium heat. Cook the patties for 5 minutes or until they're lightly browned on both sides. Serve the patties with the lemon wedges.